Motorcyclists can reduce the likelihood of an accident by refraining from riding in bad weather and always using turn signals for every turn or lane change. And don’t forget blind spots. Many motorcycle crashes occur when a motorcyclist inadvertently drives in the blind spot of a motorist. Motorcyclists also can reduce the likelihood of a crash by participating in a skills course. Your gear and your motorcycle play a role in your safety as well. Make sure if you’re purchasing a motorcycle to buy one that fits your skill level; a common mistake among new motorcyclists is buying a bike that’s too much for them to handle. Selecting a quality helmet and wearing it every time you hit the road is also very important. Studies show that riders without a helmet are 40 percent more likely to suffer a fatal head injury in a crash. Without a helmet, you’re also three times more likely to suffer a brain injury. 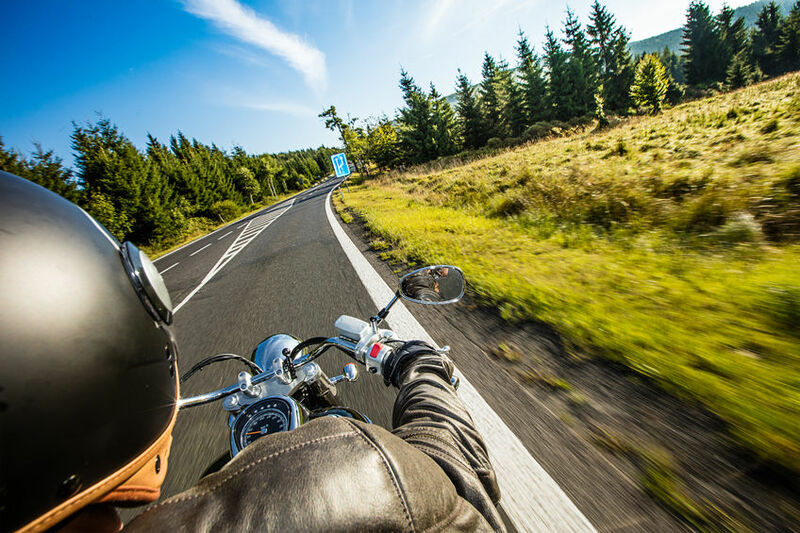 Looking for the right motorcycle insurance? Log on to Insurance Quarterback. We’ll shop multiple insurance carriers to find the best policy for you and your wallet.